This month I jumped into the Sew Pieceful Block Swap. This will be my second group swap of the year, and while I'd love to join many more swaps, I'm trying to keep myself under control in the swap department. 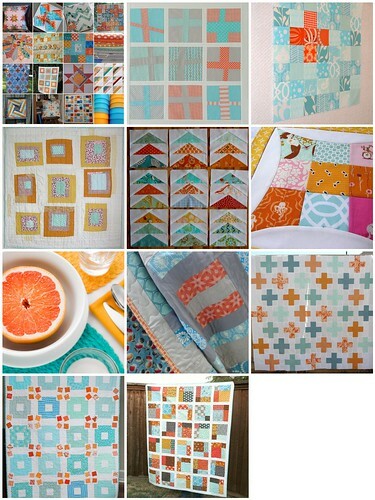 For this particular swap I'm hoping to use the blocks I receive to make a quilt for my front room. I chose orange, aqua, and grey as my color scheme. Hopefully the quilt will end up as beautiful as the mosaic!